Neurolinguistic programming for multiple sclerosis (NLP for MS) works with our mind’s influence on our body and immune system. NLP is a mind-based therapy focused on how our mind (neuro) interprets (linguistics) in a very predictable way what has happened depending on our life experiences (programs). Another way of describing the focus of neurolinguistic programming is that the practitioner doesn’t focus on what happened to us but in how our mind interprets those events and how that interpretation influences our experience of stress and, consequently, the health of our body. Neurolinguistic programming for multiple sclerosis often finds that people diagnosed with MS see life as a sort of report card that is forever grading them and pushing them to achieve perfect scores. This way of interpreting life creates a very high level of stress, conflicts, and impossibly high personal standards that can cause the body and immune system to react negatively. When the mind sees life in this way, the worst enemy is not coming from outside the body, but within the mind. Sharalee discovered, through neurolinguistic programming, that her mind’s interpretation of the world required her to block off her emotions, scorn relaxation and kicking back even when she was exhausted, and made her responsible for other people’s happiness. Life, in her mind, had been a long never-ending to do list. She also learned through NLP that the way she set up goals made them impossible to achieve and she would end up feeling like a total failure. Using NLP for MS, can teach you how you have been interpreting life, relationships, events, even MS itself, and help you find more healthful and beneficial ways of experiencing them. Wouldn’t it be better if we presupposed that life were more like an adventure or video game to figure out and test alternatives along the path than as a report card judging every move for example? NLP can be used to re-interpret past trauma, negative emotions like anger, guilt, and shame, and even alter the judgemental inner voice. As we make changes to our mind’s programs, our bodies are released of the enormous psychological burden they’ve experienced and is given the space to heal. 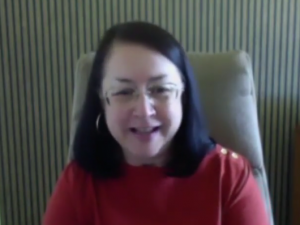 NLP Success story – meet Sharalee Clawson and learn what NLP tools she found most successful to become symptom-free. NLP Presuppositions -what beliefs can we adopt that are good for our health?